It’s been seven years since The Exorcist’s Meter <降魔的> star Hubert Wu (胡鴻鈞) debuted his first performance on television. 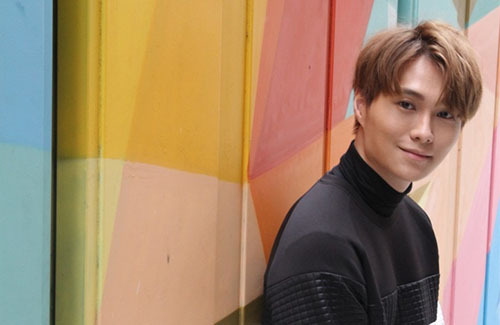 The 27-year-old, who made his debut through the singing competition The Voice 2 <超級巨聲2> in 2010, took the backseat after stars like Alfred Hui (許廷鏗) and James Ng (吳業坤) shot to popularity. Reaching a bottleneck in his singing career, Hubert decided to try out acting—he made his first major supporting appearance in 2016’s Blue Veins <殭>, followed by a second male lead performance in last year’s hit drama The Exorcist’s Meter. The theme song “I Was Here” <到此一遊> successfully put Hubert back in the market. “I Was Here” became a city hit, earning a Gold Song Award at the JSG Awards last year. He can sing, he can act. And he can do both excellently, especially singing. So good for him! Hope to see more of him. I like him as an actor. Think he is pretty natural. Would love to see him more on screen. Best of luck for sure! love his songs. he’s got a nice voice. Albert is immensely talented. Love his voice but acting………ummm………he’s a little too sissified but perfect for the role of Young Master Hung in My Ages Apart who had a cross-dressing fetish. This hairdo looks really good on him I must say. Love this guy! Hope we see and hear more of him!